Readers, this post is overdue. So overdue, in fact, that I wishfully included it in the updated cabin instructions before it was posted ðŸ˜¬. Needless to say, life got in the way. But here it is at long last! And Iâ€™m so sorry for the wait! Some patterns will include a circle at the end of the dart that you can use to easily mark your dart point. Occasionally, patterns will have additional circles along the legs of the dart at various spots. This is often done for darts whoâ€™s legs arenâ€™t in a perfectly straight line, like a contoured dart or a dart that is at the end of a seam. Mark these circles in the same way you mark the ends and point of the dart. Once youâ€™ve marked the key points of your dart, use a ruler to draw the entire dart shape on your fabric. I also like to place one pin horizontally through the dart point, to make it easier to spot while Iâ€™m sewing the dart on the machine. When itâ€™s time to sew your darts, start from the edge of the fabric and sew towards the dart point along the dart line, pulling out the pins as you go. When you reach the end of the dart point, try to skim the edge of the fabric with the needle before stitching off the edge completely. This helps to achieve a smooth dart point that doesnâ€™t pucker. Switch to a short stitch length 1/4â€� from the dart point and gradually decrease it to nearly zero at the end. Always press darts on a rounded or pointed surface to get a smooth point that doesnâ€™t pucker. 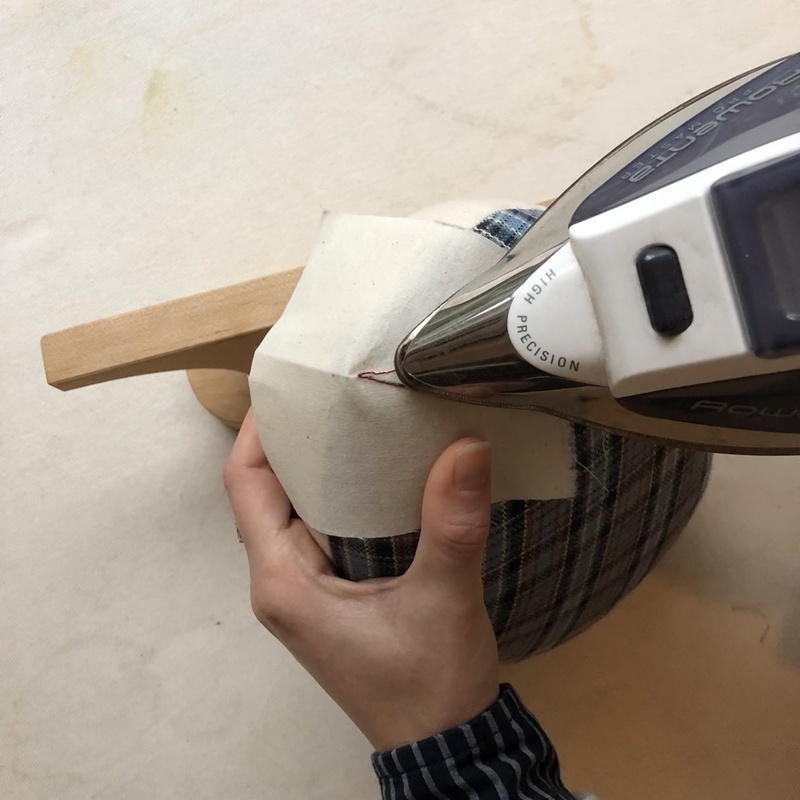 I like to use a tailors ham, but you can also use a tennis ball or place the point of your dart at the end of your ironing board, with the dart lying flat. Clipping and pressing open - On thick, bulky fabrics or fabrics that show pressing marks from the outside, clipping the dart open helps it to lie flatter and disappear into the fabric. Youâ€™ll also often need to do this on darts that are at the end of a seam. 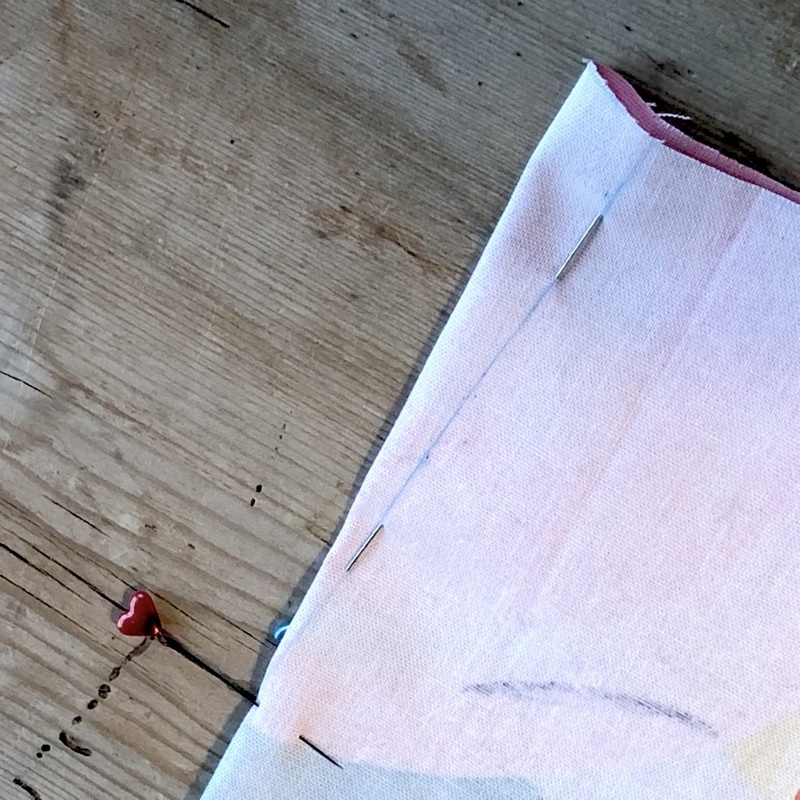 If going this route, be sure to reinforce the raw edges of the dart seam once itâ€™s cut. This method is not recommended for sheer fabrics. One thing that is important to note about darts: They add shaping to a body with a straight seam. Do those curvy parts of your body happen in a straight line? Usually not. Most of the time, darts cinch in fabric to fit your shape, but the length of the dart still stands away from the curves of your body. In most cases, this is perfectly sufficient. When you get into more fitted silhouettes where the more curvy areas arenâ€™t covered with fabric OR your curves are very prominent, this theory doesnâ€™t always work out. This, my friends, is where contouring comes in handy. 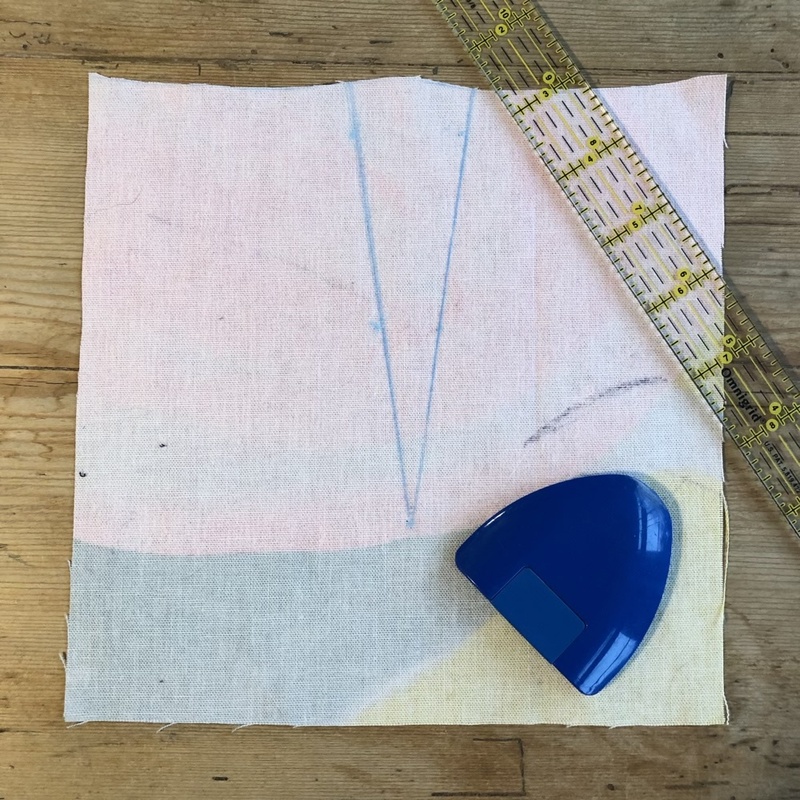 In pattern making, contouring is the process by which the sections of your garment that donâ€™t lie flat against the body are altered to do so, usually because the part that did lie next to the body is removed. 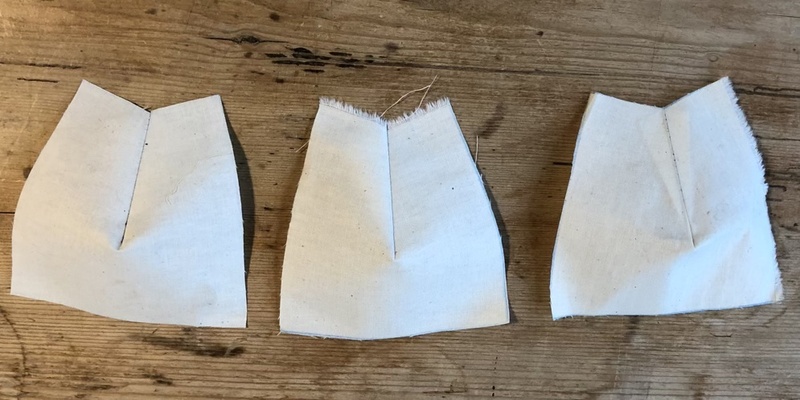 For example, a deeply cut neckline or armhole, where the ease from the original garment may leave the neckline or armhole to gape. In the case of those who are simply curvier, in such a way that the size and straightness of the dart doesnâ€™t quite fit right on the body, contouring can be used to create a dart with a better fit. The main thing this technique accomplishes is to make the angle at which the dart meets the edge of the fabric less severe, resulting in a smoother dart point.